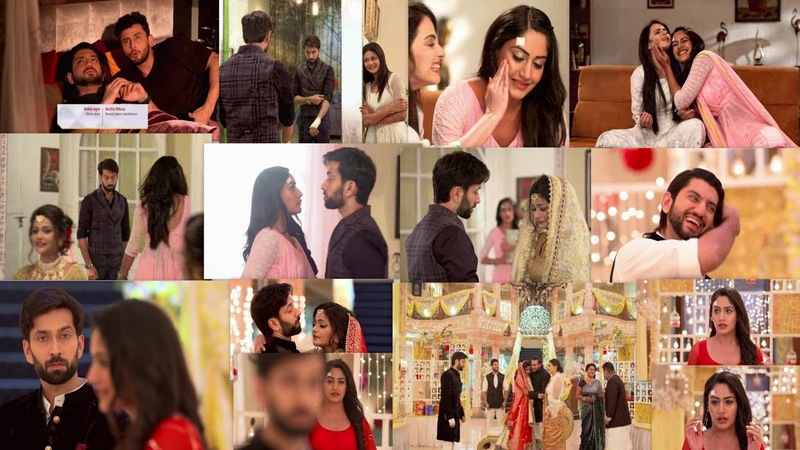 Home ishqbaaaz Ishqbaaaz 3rd July 2018 Episode Written Update "Anika Gets Emotional to See Shivaay's Emotional Side"
Ishqbaaaz 3rd July 2018 Episode Written Update "Anika Gets Emotional to See Shivaay's Emotional Side"
episode starts with Priyanka gets excited for meeting her fiance, Daksh. She informs the family that Daksh is coming. She wakes up everyone. She finds Shivay already prepared to leave for airport and receive Daksh Kapoor. Priyanka thanks him. Shivay and Gauri make a herbal face pack for Priyanka. Gauri praises her for managing all the things single-handedly, that too with much sincerity. Gauri likes Anika’s dedication. They have a sweet sisters moment and apply the face pack to each other. Gauri wishes Anika gets married soon. Anika meets Priyanka and tells her that she has done everything. She asks Priyanka not to worry for the arrangements. She makes Priyanka ready. Priyanka likes her beauty treatments. Anika compliments Priyanka. Shivay sees Priyanka and gets emotional. He didn’t think she will leave the house so soon. He thinks of her Bidaai. He controls his tears. He tells her that he can’t tolerate to see her farewell. Anika sees their sweet moment and finds a new side of Shivay. Obros get Priyanka for her Roka ritual. Daksh makes an entry and hugs Obros and family. Shivay welcomes him. Everyone knows a good image of Daksh. Daksh compliments Priyanka. Anika and Gauri witness the ceremony. Anika asks Gauri to leave, since Oberois can raise an objection on seeing her. Gauri feels Priyanka is so lucky to get pampered by her brothers. Gauri gets impressed by Omkara’s gesture. They don’t happen to meet. 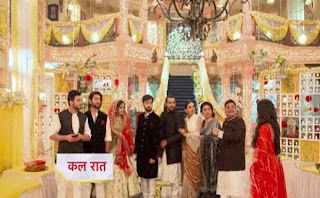 Daksh receives a shock when he finds that Anika is the wedding planner. He doesn’t want his truth to be known to anyone. He worries that she can identify him. Anika get the Roka chunri for Priyanka. Daksh appears sweet and simple. Anika tells Dadi that she is doing everything heartily for Priyanka’s sake, its not a job for her, but it seems more like her responsibility. Shivay gets touched by her words. Daksh gets relieved when Anika doesn’t identify him. Shivay gets away and cries, when Priyanka’s Roka ceremony is performed. Anika feels he is also like her to shed tears in some corner. She finds him too sweet. Shivay watches his emotional side. Khanna tells her that Oberois has sent a gift for her. Shivay doesn’t wish Priyanka to leave. Dadi explains him that Priyanka will belong to someone else’s house now. She asks Shivay to happily plan Priyanka’s farewell. She tells them that three bahus will be coming home post Priyanka’s leaving. Shivay and Priyanka shed tears. Daksh asks Priyanka not to get emotional all the time. Anika realizes that Daksh is the cheapster who has tried to molest her. She hears his words and recollects the incident. Anika reacts in fear. Daksh worries for the truth to uncover. Anika tells Everyone that She Needs to Talk Priyanka Something Urgently Daksh is Scared that She May Be Recognized me.